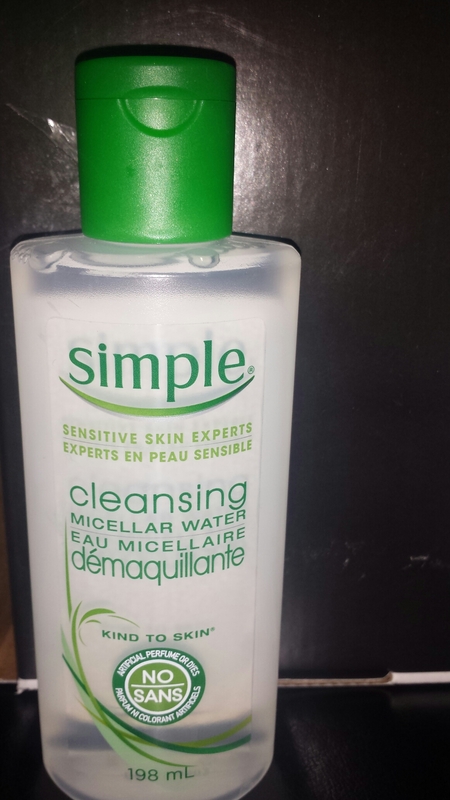 I was pleasantly surprised at how well the Simple Cleansing Water works. It is easy to use and mild and gentle on my skin. I followed the directions and used a cotton pad and my makeup removed with just one swipe of the pad. While there was a slight odor to the water, it was not unpleasant and it did not linger. After cleansing my face my skin felt nicely refreshed. And It did not leave a greasy feel to my skin after use. I am really pleased with this product and I recommend it for makeup removal or times when you want to clean your face without using soap and water. I received this product for free as part of the ChickAdvisor Product Review Club. Have you tried the garnier one? I love it! Not yet but it’s next on my list of products to try!